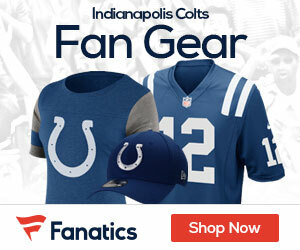 On Saturday, June 5th, the Indianapolis Colts will host a FREE mini-camp and fan open house at Lucas Oil Stadium presented by CardioChek and Anthem Blue Cross & Blue Shield. The fan open house will begin at 10:00 a.m. and include activities on the playing field, live music, appearances by Blue and the Colts Cheerleaders, a Colts garage sale, unique photo opportunities, free cholesterol screenings and more. At 2:15 p.m., the playing field will be cleared and the Colts will host a full-squad practice open to the public. Join us at Lucas Oil Stadium on June 5th for this special opportunity presented by CardioChek and Anthem Blue Cross & Blue Shield. The first 500 fans that sign up in advance for a free cholesterol screening at the event will be registered to win an official NFL game ball signed by Colts Quarterback Peyton Manning. To sign up in advance for your free cholesterol screening click here. CardioChek and Anthem Blue Cross and Blue Shield are proud sponsors of the Fan Open House and providers of the free cholesterol screening.